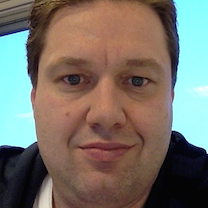 Sjaak Ursinus works for ilionx as a IBM CS Technical Architect. ilionx is a IBM Premier Business partner with a lot of knowledge of the IBM CS portfolio. Sjaak works his whole career already in the IBM CS brand and has extensive knowledge on all products being delivered by IBM in this brand. Sjaak has been active with IBM Connections since version 1.0. As a Technical Architect Sjaak tries to make the impossible desires from customers into possible working environments. Besides all the the knowledge of the products being delivered by the IBM CS brand Sjaak also has a broad knowledge about Web2.0/HTTP/Proxies and other web infrastructure technologies. Sjaak also is an IBM Champion since 2011.